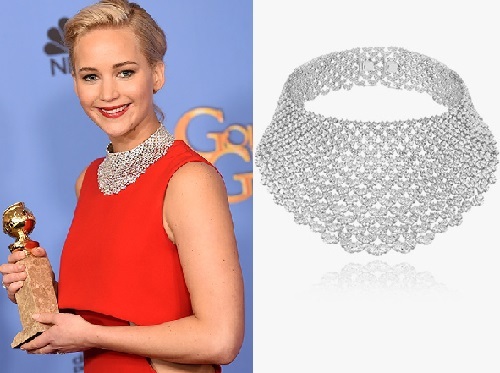 The winner of the prize in the category “Best Actress in a Musical or Comedy” Jennifer Lawrence wore openwork necklace-choker made of white gold with brilliant-cut diamonds with a total weight 157 carat gold ring with diamonds and rubies from the line High Jewellery, and platinum ring from the collection L ‘Heure Du Diamant. 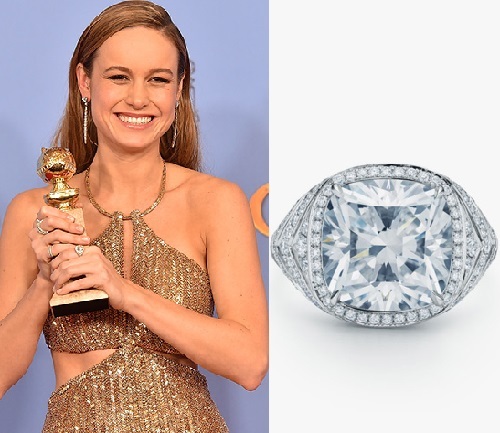 Winner of awards in the category “Best Actress in a Drama film” Brie Larson as her rival Blanchett preferred time-tested American classics from the Tiffany & Co: platinum ring in the shape of the eye with 6.34-carat diamond worth 800 thousand dollars, three-ring diamond track from Metro line and platinum earrings with long pendants in the spirit of Art Deco. Loser in two categories – “Best Actress in a Drama film” and “Best Actress” – Alicia Vikander took revenge on the red carpet, shining in the jewelry collection of high jewellery house Louis Vuitton High Jewelry. She chose earrings and white gold ring with large diamonds in the typical geometric style of the collection. 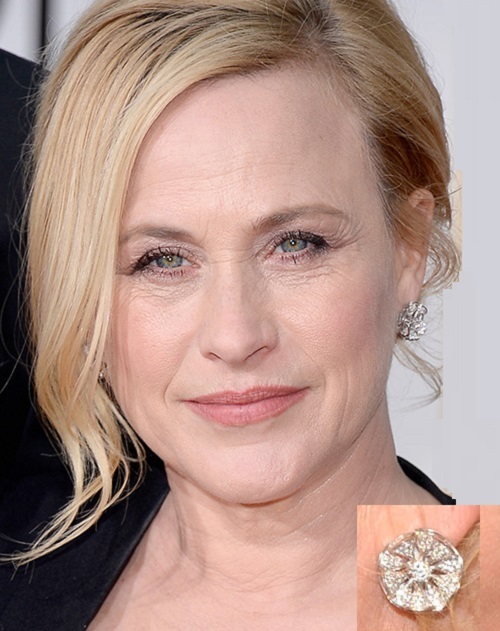 The winner of the “Oscar” -2015 Patricia Arquette wore a ring and earrings from the collection Diva by jewelry house Bvlgari. Jewellery made of white gold and decorated with colorless diamonds. 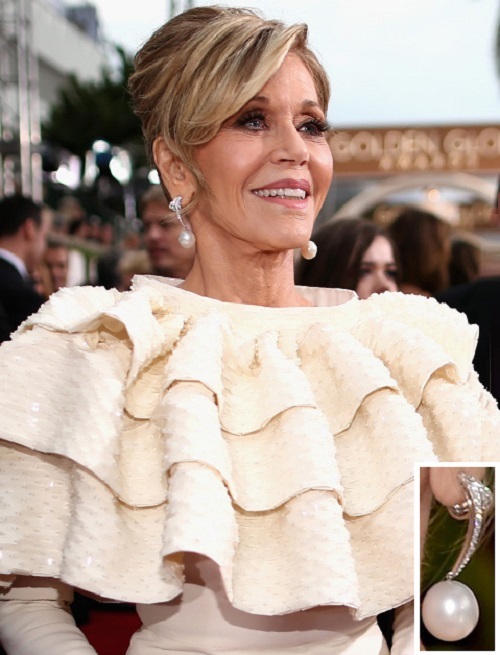 The nominee in the category “Best Actress” – a veteran of the American screen Jane Fonda appeared on the red carpet in earrings of white gold with diamonds and large, 17 mm in diameter, white pearls. In addition, the actress wore a white gold ring with 10 carat oval diamond from High Jewellery collection of jewelry and watch brand Chopard. 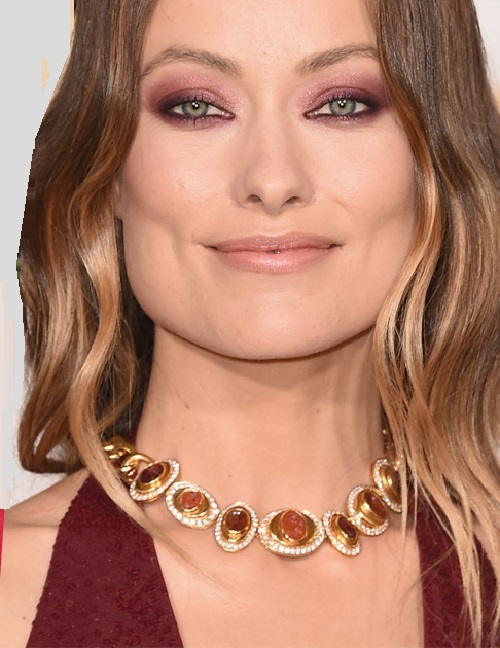 The star of the series “House” Olivia Wilde fulfilled her fitting burgundy dress with vintage Bulgari necklace with diamonds and gems from Carnelian (1980) and a ring with a large rubellite cabochon weighing 36.97 carats and diamond pave. The winner of two “Golden Globe” (2013 and 2015) and “Oscar” -2015 Julianne Moore wore diamond earrings with stones total weight of 28 carat, white gold ring with a 12-carat diamond cut “Emerald”. The star diluted diamonds with futuristic ring-shaped waves with Paraiba tourmalines and large pear-shaped rose cut diamond from the collection of High Jewellery. Undulating ring perfectly matched the dark blue sequins of the dress, gleaming like sea ripples. 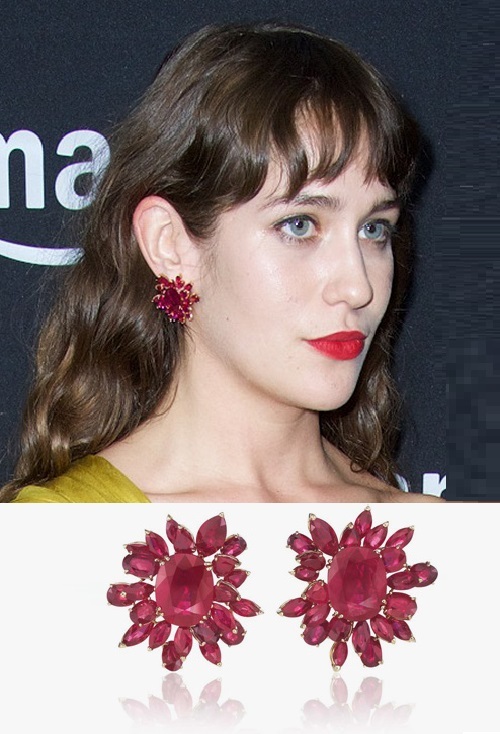 However, some stars have refuted the thesis of the “girl’s best friend.” Lola Kirk, who played in the thriller “Vanished” and the TV series “Mozart in the Jungle”, has added to her quite frank mustard-colored dress a large ruby earrings with stones 57 carat total weight in pink gold frame from the collection of Red Carpet. Color of stones perfectly match the tune of the garish red lipstick. 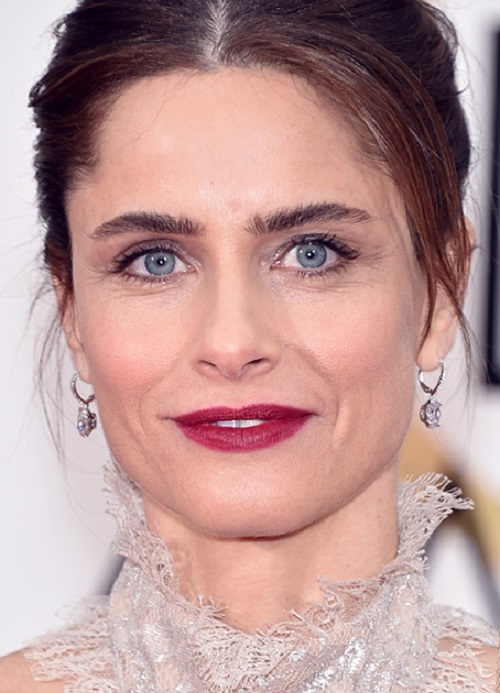 Amanda Peet, star of films “The Whole Nine Yards” and “Identification”, preferred diamonds by the legislator of the French fashion jewelry house Cartier. The actress wore earrings in platinum and white gold bracelet, decorated with stones of the highest category of purity.